More Liverpool players were involved in Brazil’s 1-1 stalemate with Panama than England’s 5-0 thumping of Czech Republic. 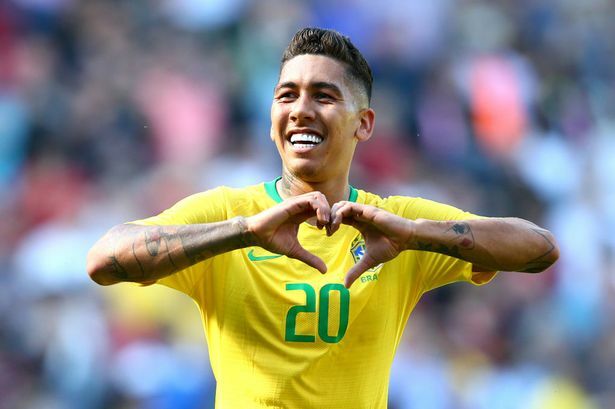 I say ‘involved’ but both Alisson and Fabinho started on the bench for their national team – only Bobby Firmino featured from kick-off, but he was taken off 15 minutes into the second half. We can’t escape Everton’s Richarlison being on the pitch and having Everton and Weverton on the bench – can we? Ha! Back to the Reds: Manchester City’s Ederson was preferred in goal but it didn’t take long for this decision to get some stick. You have to feel if Alisson and Fabinho were involved from the start then Brazil may have been able to maintain a clean sheet. Fans took to Twitter to express their aversion in the exclusion of the Liverpool stars from the off – with the focus definitely on the man between the sticks. Ederson is obviously a world class goalkeeper, but some Liverpool fans joked that international friendlies are his level! Maybe Tite is just experimenting to see how it goes.